Kodi is a simple though not exactly straightforward media player. But, since it is being used by millions worldwide, we are bound to believe it must be an easy to use tool. What I can say with certainty is that Kodi is not arcane. To tell you the truth, when I first started using Kodi, it seemed incomprehensible, and somewhat overwhelming to me too. That’s probably because it has a unique layout for a media player and some distinct features. But, it took me only a little while to realize that Kodi is much simpler than it looks at first sight. It does not take any special technical knowledge, or a learning curve to understand and start watching movies or shows on Kodi. It has been designed for laypeople like me. However, I agree that if I had a little help back when I was introduced to Kodi, I would have gotten around it a bit faster. A lot of my readers have been asking if I could come up with a guide of sorts to help the Kodi beginners speed up the ‘getting acquainted’ part. So, here I am with the Kodi guide for the beginners. 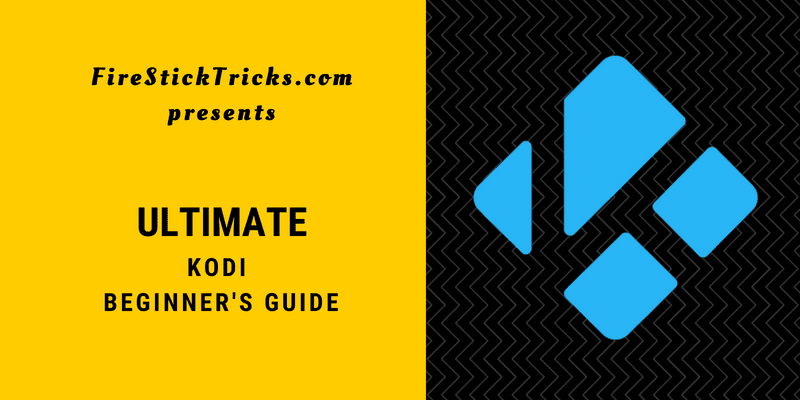 In this guide, I will take you through what are the most fundamental principles of Kodi. Here, I cover everything you need to know about Kodi to start streaming your favorite content in almost no time. A media player is a software that can play media on your device. Media is anything that is Video, Audio or Images. But, most media players, including Kodi, are more widely used to play videos and audios. VLC is a classic example of a media player, which is extensively used for video and audio playback. Kodi lets you watch video content, such as movies and TV shows, and play audio such as songs. Kodi is like VLC in many ways, but with some key differences. While VLC is more popularly used to play the media stored locally on the device storage, Kodi is primarily for streaming media over the internet. Kodi can also be used for local media playback, but that’s not what it is so popular for. 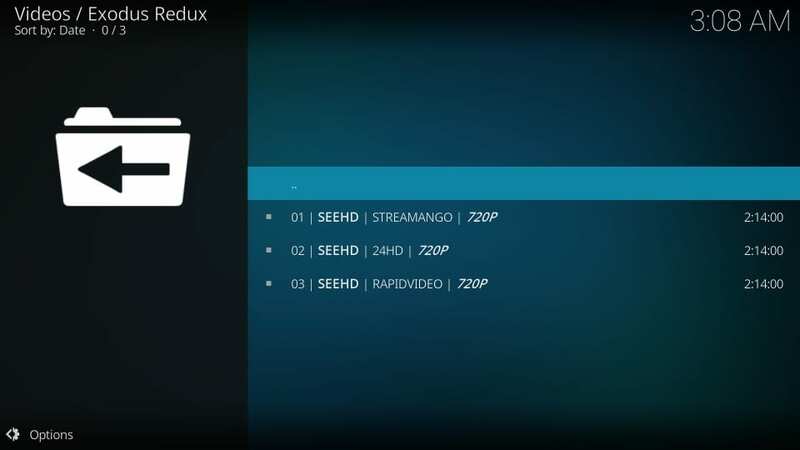 Kodi is an open-source, free media player. It was first released in 2002 as XBMC (Xbox Media Center) and, an Xbox-only application. Down the line, this tool got rechristened as Kodi and became available on a wide range of devices and OS platforms. Presently, Kodi works on Android, iOS, Windows PC, Mac, Windows mobiles, Linux, Amazon FireStick, Raspberry Pi, Android Boxes and more. When Kodi was XBMC, it took a bit of effort to set it up on Xbox and required a learning curve. Now, it is so much easier to install Kodi on almost all the platforms and has user-friendly, easy to use applications for most devices. Kodi is more popular as an online media player. It lets you stream your favorite content for free. It gives you access to movies, TV shows, live TV, sports, news, documentaries, and a lot more. But, Kodi couldn’t do all of it on its own. It requires integration of certain plugins to that end. These plugins are more commonly known as ‘Kodi addons’. 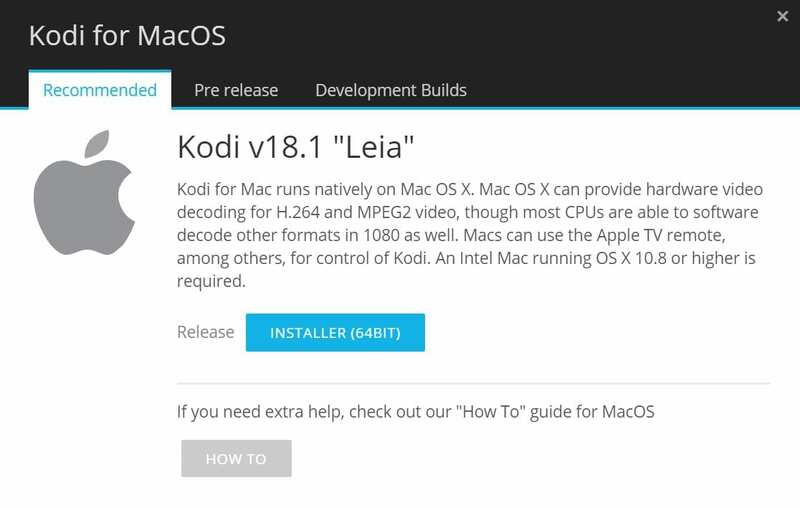 The last released official version of Kodi is Kodi 18.1 Leia. The older version, Kodi 17.6 Krypton is still in use, especially by those who haven’t upgraded to Kodi Leia. However, Krypton is no longer available through any official channels. Amazon FireStick is an extremely popular media device that plugs into your TV through the HDMI port. This Android-based device instantly converts any TV into a Smart TV. Barring a few minor physical differences, FireStick & Fire TV are essentially the same. Therefore, the same installation method is applicable to both. Amazon Store does not host Kodi yet. Therefore, we must manually download the Kodi APK file (from a trusted source) to install it on FireStick. Read our detailed guide on how to install Kodi on FireStick. This guide will take you through the easy step by step installation procedure. 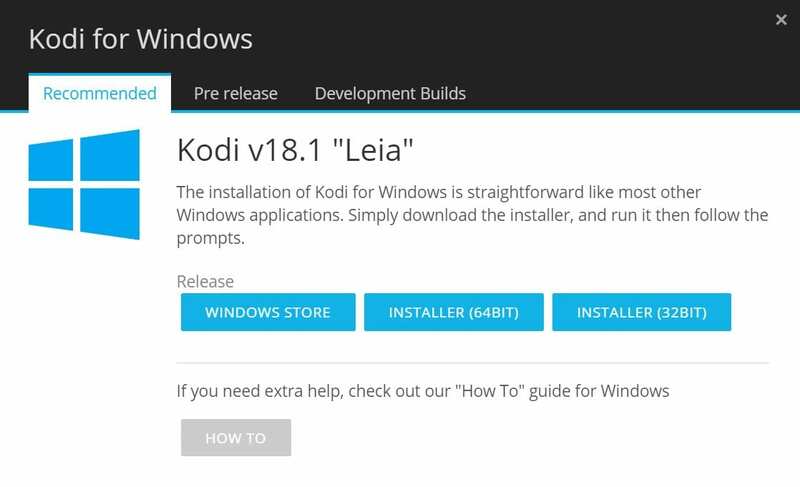 Just in case you want to install Kodi 17.6 instead, our guide will have you covered. You may also refer our another guide on how to jailbreak Amazon FireStick. This one is easy. Kodi is not only popular, but it is also trusted by Google. Unlike Amazon FireStick or Fire TV, you don’t have to sideload (or manually install) Kodi on Android mobiles & tablets. You will find the Kodi app on the Google Play Store. Only trusted and safe apps make it to the Play Store. Since Kodi is there, it gives us the assurance that it is verified and safe. The installation process for Windows 10 and Windows 8.1 & older are different. We cover both as follows. Scroll down until you see the logos of the supported devices/platforms. Click INSTALLER (64 BIT) if you have a 64-Bit computer. Click INSTALLER (32 BIT) if you use a 32-Bit PC. 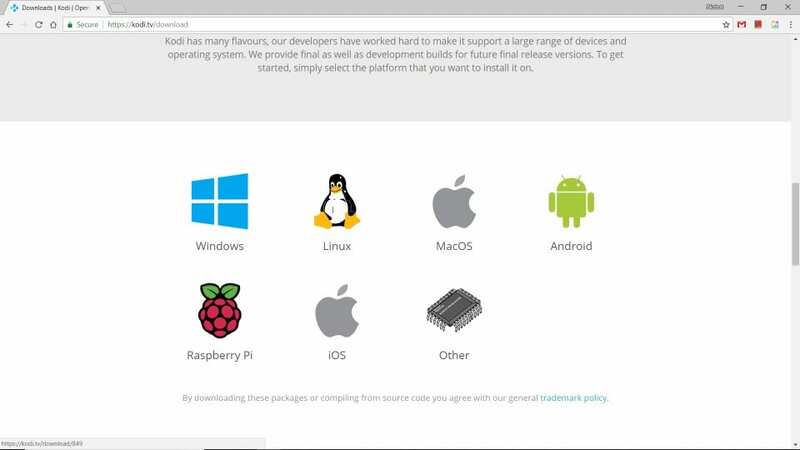 The official website says that you need to jailbreak the iOS device to install Kodi. But, there are some third-party app stores, like TweakBox that host the iOS version of the app. Open https://www.tweakboxapp.com on your iOS in any browser (Safari preferred) and download the TweakBox app store by clicking the Download button. Follow the onscreen instructions to install TweakBox. You will be required to grant certain permissions to the app during the installation. Now, run TweakBox and click the ‘Apps’ tab on the top. 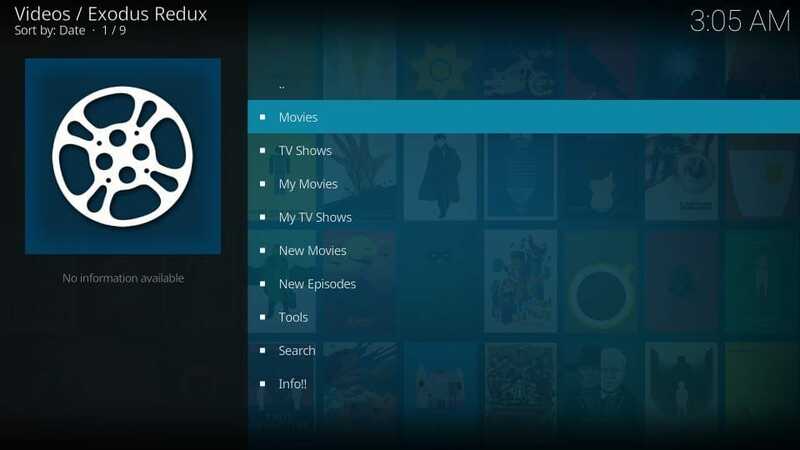 Look up for Kodi on the list of the apps and click the Kodi icon. Again, follow the onscreen instructions and install Kodi on iOS. Android Smart TV and TV Boxes support Google Play Store. Since Kodi Krypton is an official entry in the Play Store, installing the app is pretty straightforward. Before you start using Kodi for streaming your favorite movies, TV show, or sports, I will strongly recommend you to get a good VPN for Kodi. For those who are not aware, Kodi VPN is a tool that protects your Kodi streaming activities from the prying eyes of the ‘Big Brother.’ In other words, it masks the internet traffic from and to your device and makes sure the Government, ISP, hackers or any other entities cannot log or track your online activities. To watch movies and shows on Kodi, you must first install addons. Most of these addons are available through the third-party providers and let you stream your favorite content for free. I do not encourage my readers to watch copyrighted content using illegal sources. But at the same time, I also believe that everyone has the right to their privacy and that right must be upheld in theory as well as practice. A Kodi VPN encrypts your internet connection and diverts the online traffic through a virtual, private server. As a result, anyone who might be trying to track your internet activities fails to do so. ExpressVPN is my recommended Kodi VPN because it is fast and highly secure. It uses an impregnable encryption technology to protect your privacy and online identity. ExpressVPN offers 100% anonymity to the Kodi users. You can use ExpressVPN on an array of Kodi compatible device platforms such as Android, FireStick, iOS, Mac, Windows, etc. You can use this VPN with Kodi and any other streaming apps you might be using. I told you, ‘addons are the most important aspect of Kodi’ and I wasn’t exaggerating. If anything, I might be understating. Kodi’s monumental success over the past years is hinged on its ability to support a variety of addons. Of course, Kodi is a powerful media player with loads of features. But, the addons are its cornerstone. Kodi is a media player, but what good is the media player when there is no media to play? Addons act a bridge between Kodi, the media player, and the media sources on the internet. In simple words, add-ons provide the interface between Kodi and the huge pool of media out there on the web. When you buy a DVD player, you need DVDs to watch movies or shows. An addon is to Kodi what DVD is to a DVD player. Kodi can play videos and music from the local device storage. But, any media player can do that. 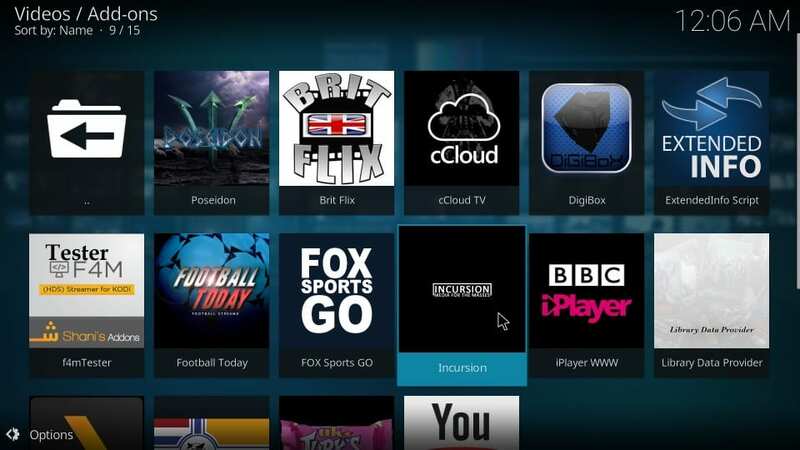 Kodi’s true potential lies in the integration with addons. So, to once you have Kodi, the next thing you want is addons to start watching your favorite shows, movies, or anything you want to watch. 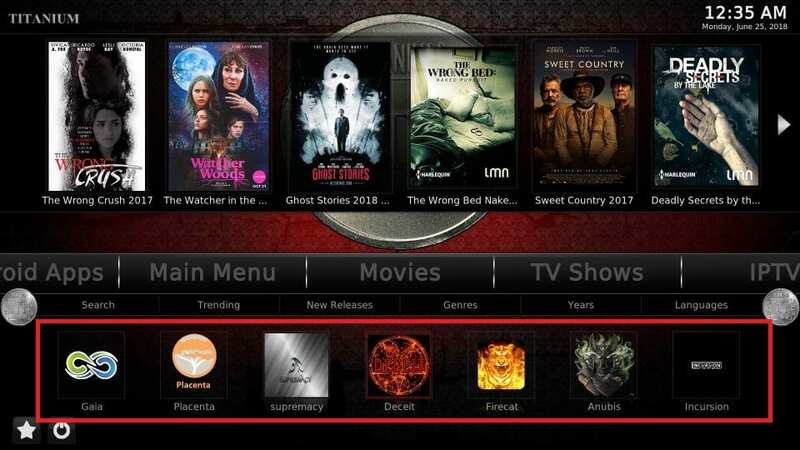 To use an addon, you must first install it on Kodi. 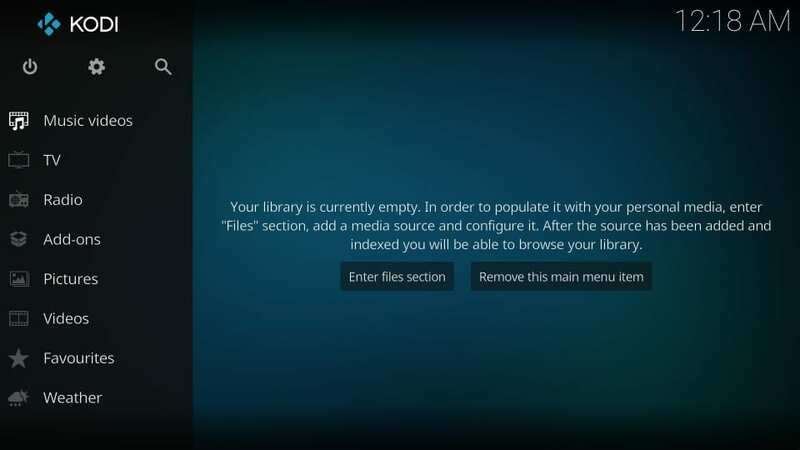 In the next section, I will show you how to install addons on Kodi. I would like you to have a quick look at the list of the top Kodi addons. This will give you a basic idea as to what these addons do. It will also help you pick the addons you want with your Kodi setup. Don’t worry if this looks a little overwhelming because it is not. In fact, it is super easy. When I first started using Kodi, it appeared puzzling to me too. But, it took very little time to get around it. We have detailed, step-by-step guides to help you install and start using various add-ons within minutes. Below is the list of the guides. Once you have installed an addon, you will find it in the Video-addons section. I will first show you how to find the addons you have installed. Later, I will show you how to use them. Please note that only the addons that stream video content, such as movies and shows, can be accessed in the Video-addons section. But, not all addons are for videos. Kodi also supports several utility addons. These addons are to be found in the Program add-ons section. But, you don’t have to worry about the Program add-ons. As you are just starting out with Kodi, you would want to know only about the video addons that let you watch your favorite content. I have been using Kodi for years and have found little use of any addons other than the ones related to video streaming. Go back to the Kodi home-screen, if you are not there already, by pressing the back button repeatedly. When you are at Video add-ons, you can see the icons of the addons. To open any addon, simply click it once. 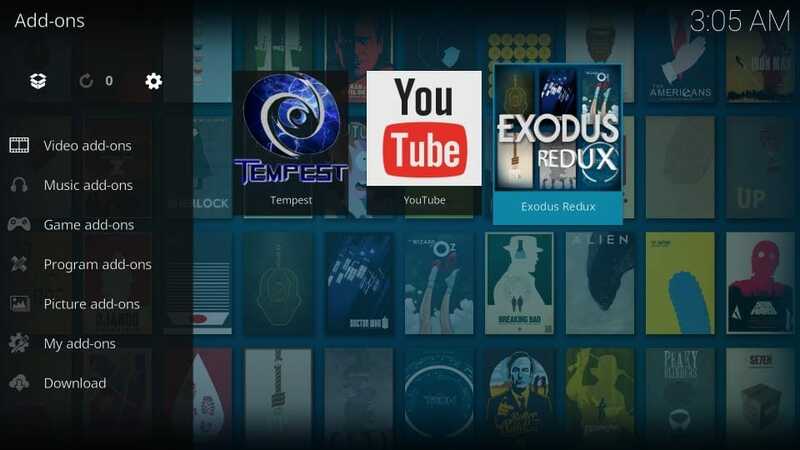 Exodus Redux is an on-demand addon. So, what you see next are the categories in which various titles have been arranged. When you click a category, you may either directly see the list of the titles or subcategories. It varies across addons. When I click the ‘Movies’ category in the Exodus Redux addon, I see the subcategories such as Genres, Year, People, Languages, Certificates, etc. There may be more subcategories within a subcategory. For instance, inside Genres subcategory, you can expect to find further subcategories like Action, Adventure, Drama, Comedy, Fantasy, etc. The idea is to click through the categories and subcategories and when you finally see the list of the titles, all you got to do is click the title you want to play. The addon will start scraping various servers and fetch you the streaming links. Click the link and you are all set to start watching movies or shows on Kodi. Well, this is pretty much all you need to do. After installing Kodi, you also need addons to start watching your favorite shows and movies. That’s why, you go about installing various addons individually. What if there was a way to change the appearance of Kodi and get several preinstalled addons in a go? This is where the Kodi builds come into the picture. In simple words, Kodi build gives a makeover to the default Kodi interface and changes it into something more exciting with a new skin. At the same time, a build preinstalls several Kodi addons for a wide range of content types so that you don’t have to install them manually. This is how Kodi looks like after installing a very popular build called ‘Titanium Build’. There are dozens of Kodi builds out there. Not all of them are good. 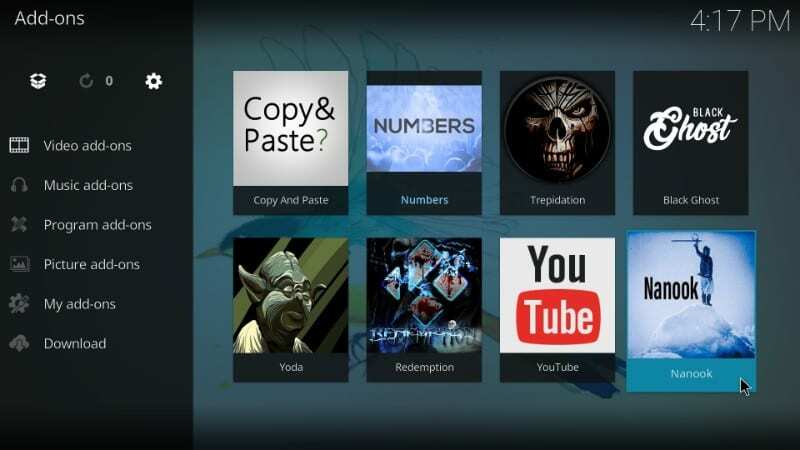 Take a look at the best Kodi builds and choose what you like the most. You may try different builds at different times. Apart from the rearrangement of various elements and the makeover of the interface, Kodi with a build isn’t a lot different from Kodi without it. That’s good news as it means it doesn’t take a great deal getting used to a Kodi build, even if you are a beginner. For this guide, I am using Titanium Build as an example. All the builds are more or less the same in layout, barring a few minor differences. Even if you have any other build, through this example you will get the general idea as to how to go about using any other build. 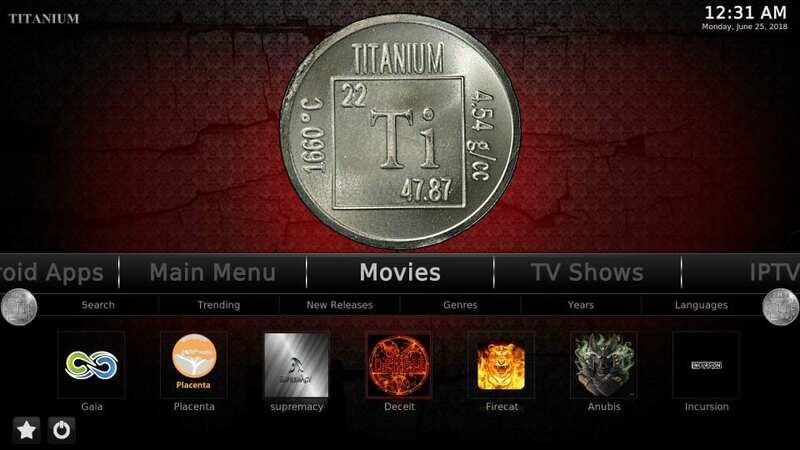 This is what the home-screen of Kodi looks like with Titanium Build. As is evident, this skin is way more vibrant and happening than the default, bland Kodi skin. As you can see, there is a Menu bar across around the middle of the Titanium home-screen and a contextual submenu bar underneath it. When you select an item in the main Menu bar, related submenu items appear under it. For example, when I select Movies, I see the related items Search, Trending, New Releases, etc. Go ahead and select other options like TV Shows, IPTV, Sports and notice how the submenus change. Remember, I said that builds come with preinstalled addons? I have selected the ‘Movies’ option in the Menu bar. On the bottom, you can see the list of the Movie addons (Gaia, Placenta, Supremacy, Deceit, etc.). These are some of the preinstalled addons with Titanium Build. When I select TV Shows, the addons that host TV shows appear on the bottom. 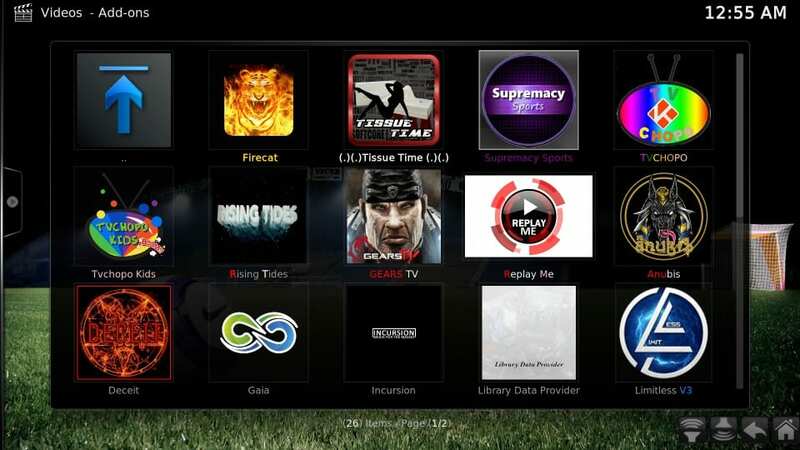 Similarly, you will find the addons for IPTV (live TV), Sports, Kids Zone, etc. 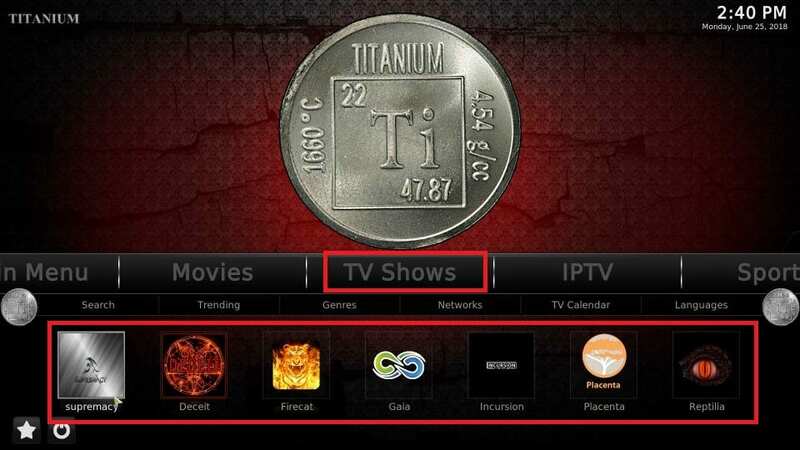 Here, you will find the complete list of the Video add-ons that came pre-installed with the Titanium Build. A build comes preconfigured with several addons. But, this does not necessarily guarantee it will always have the addon you want. If your build doesn’t pack your favorite addon, you can install it manually. 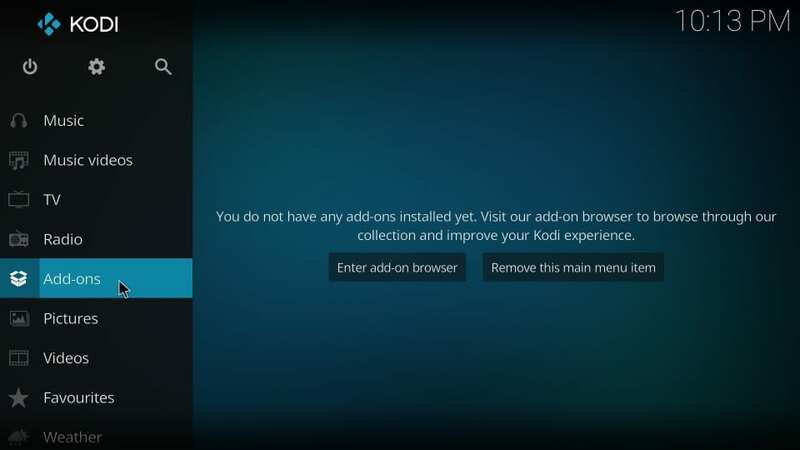 I told you how you could install addons on Kodi earlier in this guide. But, that was about setting up addons without the build. All the builds allow you to install addons over them. The good news is that the installation method with a build isn’t a lot different as compared to without one. Like before, add the source URL to Kodi, install repo from the source and eventually install the addon from the repo. Please read our detailed guide to learn how to install addons over builds. This is pretty much all you need to know about Kodi as a beginner. 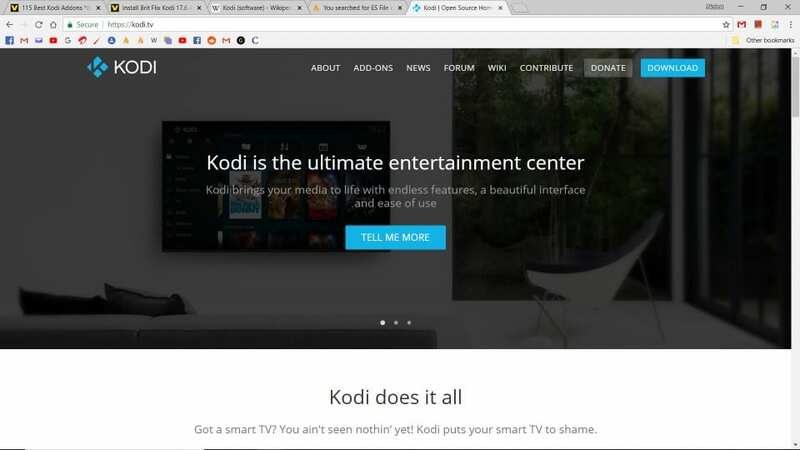 Honestly, for the most part, you will only need to use the basic functions of Kodi that I have outlined in this guide. I have been familiar with Kodi for years, and even today, I barely go beyond the basics. Know how to install addon on the device you are using and learn to set up addons and you will have already taken care of a great deal. Kodi builds are great, they lend a visual appeal to the interface, and make your life easier with pre-installed addons. It is good to have a build. I use it myself. What I am saying is that even when you take the builds out of the equation, you can still use Kodi just with the addons. But, there isn’t a lot you can do without the addons. I am probably going to say this the third time in this guide – addons are the most important aspect of Kodi. Hi, which addon are you using? Let me know and I will check. Hello kdoi I would like to tell you thank you thos has been given me a experience I never went on my computer it’s like bran ne omg I had a I went crazy trying to take a risk getting on it I was always to scared I’m getting ok but omg you make the best tutorials yeah thats it my Asus computer has a big brain and mine is very small not any more thank you I was wondering when I would learn then I found you I can’t believe someone cares to go slow and easy and you have all those step by steps I in stalled the 17.6krypton xbmc took me four days I almost gave up . Noway thank you for the updates also I may get just just get it all by the time I pass away okkkkk this from retired and board thank you so much I’ve been saved my pennies so I can send a few your way as soon as I learn pay pal wow its hard to learn a mental think .after being a outside work my props go out to you thank you very much my brains are awakening up thanks again I’m alive again god bless you. I didn’t think people cared any more it’s free omg thanks a lotay.look at me I’m clamp and typing, nice and slow no stress. Wait … I’m back at have a blessed day you and yours. ..
Hi Lisa, glad to know we could be useful. Feel free to get back to us if you need any assistance in future. 4 What are Kodi Addons? 7 What are Kodi Builds?